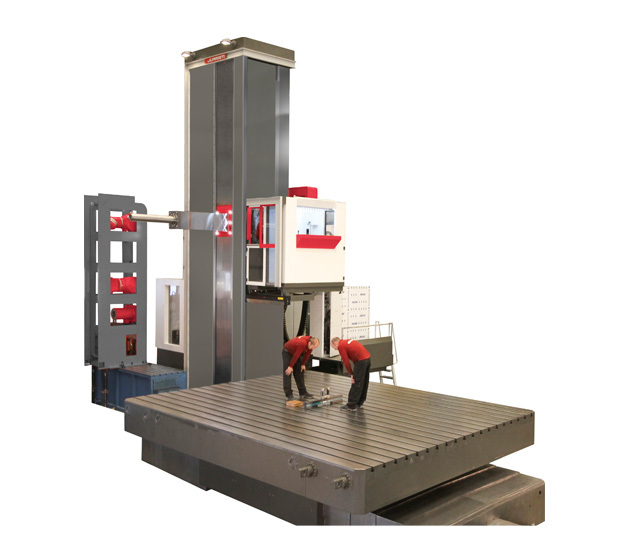 After a long and succesful experience on HYDROSTATIC GUIDING since 1966, the new MP RAM Horizontal Floor Borers are at the high-end on milling and boring travelling column machines in order to fulfill the most exigents requests of the market. MP10 RAM machines have very robust construction with extra wide hardened and ground hydrostatic guides, achieving extremely high accuracy and superb cutting capability, without a trace of vibration, ensuring perfect surface finish, besides the material being machined. Equipped with 3 speed ranges, the main spindle performs up to 136 kW power and over 20.000 Nm torque. The RAM + boring bar extension can reach up to Z+W 3.400 mm and vertical travel up to 8.000 mm.